At Appliance Repair Airdrie, we believe in providing professional appliance services to our customers at an affordable price that most people can agree with. There are many types of appliances in just about every home, with more and more becoming a big part of your daily routine. Our professional appliance service technician teams are more than up to the challenge of providing the service you need for the appliance in distress. When you need appliance repairs, our experts would be happy to help! They can successfully repair any appliance in your home, from the biggest to the smallest. Our home appliance repair is the perfect solution for any appliance in your home. Just let us know the make and model of your stove and we’ll do the rest. In fact, we make sure that our technicians have a healthy supply of parts in their trucks to ensure the quick facilitation of every repair they perform. Choose Appliance Repair Airdrie and see why so many others have chosen us too! Our appliances repair service can pretty much guarantee the repair of your appliance when you need it. 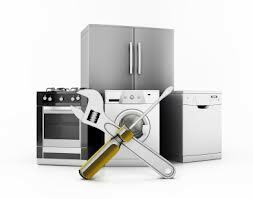 We offer the best home appliances repair in Airdrie. Our experienced professionals have all the skills needed to service any of your kitchen appliances. In fact, our kitchen appliance repairs are second to none. We understand how important kitchen appliances are in every home. They keep our foods fresh and make it possible for us to cook them easily and safely. Because of this, it’s more often than not a serious blow to your daily routine if one of those appliances breaks down. When it happens to you, we’ll be ready to take care of it. Airdrie Appliance Repair is always ready to provide you with the services you need for the appliances that need them. 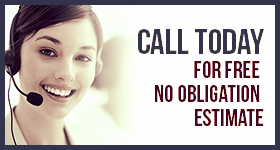 Give us a call today and find out how we can help you!